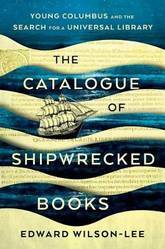 In recent years there has been much interest in collective memory and commemoration. It is often assumed that when nations celebrate a historic day, they put aside the divisions of the present to recall the past in a spirit of unity. 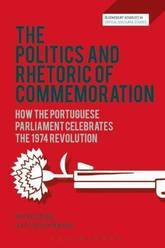 As Billig and Marinho show, this does not apply to the Portuguese parliament's annual celebration of 25 April 1974, the day when the dictatorship, established by Salazar and continued by Caetano, was finally overthrown. Most speakers at the ceremony say little about the actual events of the day itself; and in their speeches they continue with the partisan politics of the present as combatively as ever. To understand this, the authors examine in detail how the members of parliament do politics within the ceremony of remembrance; how they engage in remembering and forgetting the great day; how they use the low rhetoric of manipulation and point-scoring, as well as high-minded political rhetoric. The book stresses that the members of the audience contribute to the meaning of the ceremony by their partisan displays of approval and disapproval. Throughout, the authors demonstrate that, to uncover the deeper meanings of political rhetoric, it is necessary to take note of significant absences. The Politics and Rhetoric of Commemoration illustrates how an in-depth case-study can be invaluable for understanding wider processes. 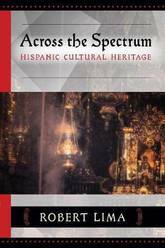 The authors are not content just to uncover unnoticed features of the Portuguese celebration. They use the particular example to provide original insights about the rhetoric of celebrating and the politics of remembering, as well as throwing new light onto the nature of party political discourse. On the 25th April 1974, a coup destroyed the ranks of Portugal's fascist Estado Novo government as the Portuguese people flooded the streets of Lisbon, placing red carnations in the barrels of guns and demanding a `land for those who work in it'. This became the Carnation Revolution - an international coalition of working class and social movements, which also incited struggles for independence in Portugal's African colonies, the rebellion of the young military captains in the national armed forces and the uprising of Portugal's long-oppressed working classes. 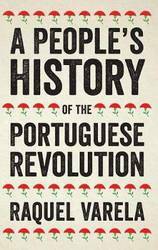 It was through the organising power of these diverse movements that a popular-front government was instituted and Portugal withdrew from its overseas colonies. Cutting against the grain of mainstream accounts, Raquel Cardeira Varela explores the role of trade unions, artists and women in the revolution, providing a rich account of the challenges faced and the victories gained through revolutionary means. 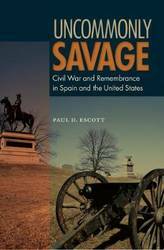 Spain and the United States both experienced extremely bloody and divisive civil wars that left social and emotional wounds, many of which still endure today. In Uncommonly Savage, award-winning historian Paul Escott considers the impact of internecine violence on memory and ideology, politics, and process of reconciliation. He also examines debates over reparation or moral recognition, the rise of truth and reconciliation commissions, and the legal, psychological, and religious aspects of modern international law regarding amnesty. 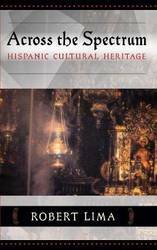 In this book, historian Mar a M. Portuondo takes us to sixteenth-century Spain, where she identifies a community of natural philosophers and biblical scholars. 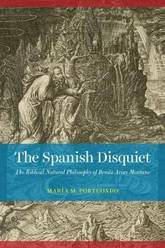 They shared what she calls the Spanish Disquiet --a preoccupation with the perceived shortcomings of prevailing natural philosophies and empirical approaches when it came to explaining the natural world. Foremost among them was Benito Arias Montano--Spain's most prominent biblical scholar and exegete of the sixteenth century. He was also a widely read member of the European intellectual community, and his motivation to reform natural philosophy shows that the Spanish Disquiet was a local manifestation of greater concerns about Aristotelian natural philosophy that were overtaking Europe on the eve of the Scientific Revolution. His approach to the study of nature framed the natural world as unfolding from a series of events described in the Book of Genesis, ultimately resulting in a new metaphysics, cosmology, physics, and even a natural history of the world. By bringing Arias Montano's intellectual and personal biography into conversation with broader themes that inform histories of science of the era, The Spanish Disquiet ensures an appreciation of the variety and richness of Arias Montano's thought and his influence on early modern science. The first Portuguese Republic stood between 1910 and 1926. A characteristic of the Republican period was the strong civil participation, particularly by the urban population. Freedom of press and of association became constitutional rights and incentivized a powerful and very diversified associative movement in which trade unions and friendly societies stood out in the political spectrum as they promoted popular education and culture. The time-span studied is characterized by Portugals colonial expansion in Africa, an important factor in Portugals involvement in the Great War. As changes in education, in the concept and structure of family and in the status of women linked with the new politics, so emerged a different relationship between State and Church, new avenues for the development of economic activity, an increased focus on better labour conditions, and emigration to Brazil. Miriam Halpern Pereira provides a clear overview of the Republics many achievements and the internal political and wider international limitations resulting in its downfall. The political, social and cultural causes of the military overthrow of the first Portuguese Republic are analyzed against the backdrop of the concomitant rise of fascist regimes in other European countries in the years preceding the 1929 Depression. The work provides a much needed updated synthesis of the myriad circumstances of the period, and is intended for both the general public and students of modern Europe. 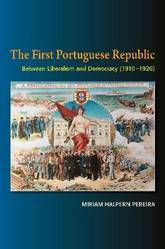 In a clear and concise style Between Liberalism and Democracy sheds new light on a controversial epoch of Portuguese history. Your journey starts here. We've reimagined and updated our iconic DK Eyewitness travel guides. This brand new Portugal guide, now in a lightweight format, has been expertly curated with all new photography plus DK's much-loved illustrations and maps. - Gorgeous, all-new colour photography so you can imagine yourself there - Reasons to love Portugal: stunning beaches, colourful azulejos, historic towns - what will yours be? - See Portugal from a different angle: 22 pages of fresh ideas for exploring this spectacular country - A year-long calendar of events in Portugal gives a selection of local events and festivals for all seasons - Expert advice covers the practical stuff: get ready, get around and stay safe - Over 20 detailed colour maps help you navigate the country with ease - Expert tips to make memories that last - where to snap and share the perfect photo, take in stunning views and escape the crowds - The most authentic places to stay, eat, drink and shop - Easy-to-follow walks and itineraries take you on a tour of each area, with plenty of food and drink stops en route - Hand-drawn illustrations show the inside of the must-see attractions, including Sintra's Palacio da Pena, Belem's Mosteiro dos Jeronimos and Coimbra's University - Covers Lisbon - Alfama, Baixa and Avenida, Bairro Alto and Estrela, Belem and Beyond the Centre - the Lisbon Coast, Estremadura and Ribatejo, the Beiras, Porto, Douro and Tras-os-Montes, Minho, Alentejo, the Algarve, Madeira and the Azores DK Eyewitness Travel Guide Portugal is a detailed, easy-to-use guide designed to help you create your own unique trip. Planning a city break? Try our DK Eyewitness Travel Guide Lisbon. About DK Eyewitness Travel: For 25 years, DK's beautifully practical Eyewitness guides have been combining inspiring ideas and expert advice with easy-to-read maps and vivid photography to inform and enrich your holiday. Now they have a stunning new look that you will love even more. DK is the world's leading illustrated reference publisher, producing beautifully designed books for adults and children in over 120 countries. Your journey starts here. We've reimagined and updated our iconic DK Eyewitness travel guides. This brand new Lisbon guide, now in a lightweight format, has been expertly curated with all new photography plus DK's much-loved illustrations and maps. - Gorgeous, all-new colour photography so you can imagine yourself there - Reasons to love Lisbon: picture-perfect views, quirky museums and iconic pastries - what will yours be? - See Lisbon from a different angle: 12 pages of fresh ideas for exploring this spectacular city - A year-long calendar of events in Lisbon gives a selection of local events and festivals for all seasons - Expert advice covers the practical stuff: get ready, get around and stay safe - Detailed, colour maps help you navigate the country with ease - Expert tips to make memories that last - where to snap and share the perfect photo, take in stunning views and escape the crowds - The most authentic places to stay, eat, drink and shop - Easy-to-follow walks and itineraries take you on a tour of each area, with plenty of food and drink stops en route - Hand-drawn illustrations show the inside of the must-see attractions, including the spectacular Mosteiro dos Jeronimos, tile-filled Museu Nacional do Azulejo and Sintra's Palacio Nacional da Pena - Covers Alfama, Baixa and Avenida, Bairro Alto and Estrela, Belem, Beyond the Centre and the Lisbon Coast DK Eyewitness Travel Guide Lisbon is a detailed, easy-to-use guide designed to help you create your own unique trip. Want to explore beyond Lisbon? Try our DK Eyewitness Travel Guide Portugal. About DK Eyewitness Travel: For 25 years, DK's beautifully practical Eyewitness guides have been combining inspiring ideas and expert advice with easy-to-read maps and vivid photography to inform and enrich your holiday. Now they have a stunning new look that you will love even more. DK is the world's leading illustrated reference publisher, producing beautifully designed books for adults and children in over 120 countries. Paradoxes of Stasis examines the literary and intellectual production of the Francoist period by focusing on Spanish writers following the Spanish Civil War: the regime's supporters and its opponents, the victors and the vanquished. Concentrating on the tropes of immobility and movement, Tatjana Gajic analyzes the internal politics of the Francoist regime and concurrent cultural manifestations within a broad theoretical and historical framework in light of the Greek notion of stasis and its contemporary interpretations. 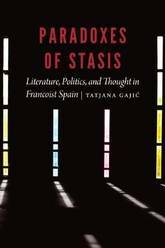 In Paradoxes of Stasis, Gajic argues that the combination of Francoism's long duration and the uncertainty surrounding its ending generated an undercurrent of restlessness in the regime's politics and culture. Engaging with a variety of genres-legal treatises, poetry, novels, essays, and memoir-Gajic examines the different responses to the underlying tensions of the Francoist era in the context of the regime's attempts at reform and consolidation and in relation to oppositional writers' critiques of Francoism's endurance. By elucidating different manifestations of stasis in the politics, literature, and thought of the Francoist period, Paradoxes of Stasis reveals the contradictions of the era and offers new critical tools for understanding their relevance. 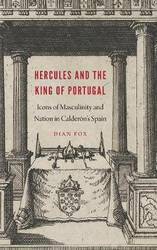 Hercules and the King of Portugal investigates how representations of masculinity figure in the fashioning of Spanish national identity, scrutinizing ways that gender performances of two early modern male icons-Hercules and King Sebastian-are structured to express enduring nationhood. The classical hero Hercules features prominently in Hispanic foundational fictions and became intimately associated with the Hapsburg monarchy in the early sixteenth century. King Sebastian of Portugal (1554-78), both during his lifetime and after his violent death, has been inserted into his own land's charter myth, even as competing interests have adapted his narratives to promote Spanish power. The hybrid oral and written genre of poetic Spanish theater, as purveyor and shaper of myth, was well situated to stage and resolve dilemmas relating both to lineage determined by birth and performance of masculinity, in ways that would ideally uphold hierarchy. Dian Fox's ideological analysis exposes how the two icons are subject to political manipulations in seventeenth-century Spanish theater and other media. Fox finds that officially sanctioned and sometimes popularly produced narratives are undercut by dynamic social and gendered processes: Hercules and Sebastian slip outside normative discourses and spaces to enact nonnormative behaviors and unreproductive masculinities. Marking the 80th anniversary of the outbreak of the Spanish Civil War, this volume takes a close look at the initial political moves, military actions and consequences of the fratricidal conflict and their impact on both Spaniards and contemporary European powers. The contributors re-examine the crystallization of the political alliances formed in the Republican and the Nationalist zones; the support mobilized by the two warring camps; and the different attitudes and policies adopted by neighbouring and far away countries. 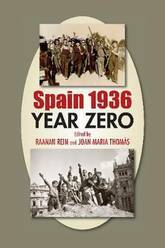 Spain 1936: Year Zero goes beyond and against commonly held assumptions as to the supposed unity of the Nationalist camp vis-a-vis the fragmentation of the Republican one; and likewise brings to the fore the complexities of initial support of the military rebellion by Nazi Germany and Soviet support of the beleaguered Republic. Situating the Iberian conflict in the larger international context, senior and junior scholars from various countries challenge the multitude of hitherto accepted ideas about the beginnings of the Spanish Civil War. 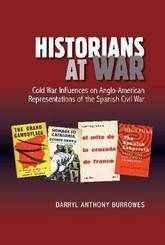 A primary aim of the editors is to enable discussion on the Spanish Civil War from lesser known or realized perspectives by investigating the civil wars impact on countries such as Argentina, Japan, and Jewish Palestine; and from lesser heard voices at the time of women, intellectuals, and athletes. Original contributions are devoted to the Popular Olympiad organized in Barcelona in July 1936, Japanese perceptions of the Spanish conflict in light of the 1931 invasion to Manchuria, and international volunteers in the International Brigades. General Francisco Franco (1892-1975), ruler of Spain for nearly forty years, was one of the most powerful and controversial leaders in that nation's long history. 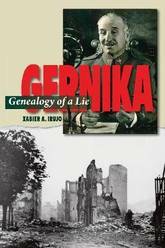 This deeply researched biography treats the three major aspects of his life-personal, military, and political. 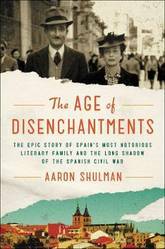 It depicts his early life, explains his career and rise to prominence as an army officer who became Europe's youngest interwar brigadier general in 1926, and then discusses his role in the affairs of the troubled Second Spanish Republic. 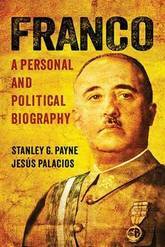 Stanley G. Payne and Jesus Palacios examine in detail how Franco became dictator and how his leadership led to victory in the Spanish Civil War that consolidated his regime. They also explore Franco's role in the great repression that accompanied the Civil War-resulting in tens of thousands of executions-and examine at length his controversial role in World War II. This masterful biography highlights Franco's metamorphoses and adaptations to retain power as politics, culture, and economics shifted in the four decades of his dictatorship. 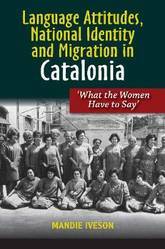 This book examines language, nation and identity from a gendered perspective and investigates to what extent women use Catalan in their everyday social practices to construct gendered and national identities. Drawing on a unique body of oral history interviews, the focus of the study is three female generations, covering 50 years of historical change from the 1960s to the present. What the Women Have to Say analyses the preservation of the Catalan language during Francos regime; how the emergence of a feminist movement and discourse, and changing patterns of migration, have transformed the relationship between gender and national identity in Catalonia; and the role that Catalan plays today in defining womens identities and as a nation-building tool. Additional analysis of a corpus of social media data explores the online Catalan discourses of nationalism and its gendered dimensions. A central interpretative tool is the concept of intersectionality, emphasising genders inter-connectedness with categories of class and ethnicity. An ntergenerational approach, and a focus on the local using a case study of a Catalan village outside the regions capital, opens new perspectives on the Catalan issue. By bringing together approaches from sociocultural linguistics and oral history, What the Women Have to Say provides important linkages between the economic, political and social circumstances pertaining today as they impact on the issue of nationalism in particular and in the wider discourses of nationalism, identity and migration in twenty-first century Europe. The book discusses the far right in the contemporary Portugal (1945-2015) within three different periods: the end of the authoritarian regime of Antonio de Oliveira Salazar (1945-1974), the transition to democracy after the coup d'etat of April 25th (1974-1982) and the democratic regime until the present (1982-2015). 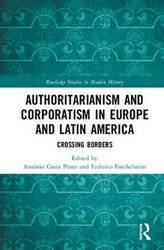 The analysis focuses on political groups and parties, social movements, ideologies, intellectuals and publications acting at the extreme right of the political spectrum of the Portuguese authoritarian regime and of the democratic regime, both on a national and international level. 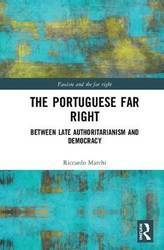 The book also contextualizes the Portuguese far right within the political thought and the organisational models of the wider European extreme right. A qualitative in-depth case study and the outcome of ten years of research, this book offers analysis of historical and contemporary primary sources, previously unexplored archives and in-depth interviews. Assessing the extent to which the behaviour of the far right is altered in different political environments and situations, this book makes an innovative and unique contribution to scholarship on the extreme right within southern Europe and will be of interest to students and scholars researching extreme right politics, as well as European history and politics more generally. The former colony of Spanish Sahara saw frequent outbursts of tribal and ethnic rebellions already while ruled by colonial authorities, in the late 19th and through early 20th Century. Its vastness and distances de-facto dictated the application of air power in response. While most of these attracted next to no attention in English-language media, at least the large-scale operations of the Spanish colonial authorities of the late 1950s became notable for the final combat deployment of the famous Messerschmitt Bf.109. Narby, their common history as former French colonies resulted in a short war between Algeria and Morocco, which in turn prompted an arms race that lasted well into the 1980s. 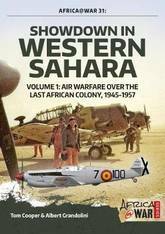 Following much more action than was ever reported in the media, and amid growing resistance from natives and increasing international pressure, Spain withdrew from Spanish Sahara in 1975, indirectly opening a new chapter of this part of the world, which is going to be covered in Volume 2. Warfare in Western Sahara has in many ways become exemplary for modern-day counter-insurgency efforts in Africa and elsewhere. This is so in regards of this conflict being mis-declared as a part of some larger, external conflict - like the Cold War - in regards of the concept of an insurgency applying motorized forces to deliver often spectacular `hit-and-run' attacks; and in regards of a conventional military reacting with a combination of earth berms and air power. Illustrated by over 100 photographs, dozen of maps and 15 colour profiles, Showdown in Western Sahara, Volume 1 offers a fascinating study of the military aspects of this conflict, warfare strategies, tactics and experiences with different weapons systems. 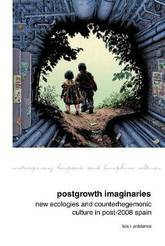 Eurocommunism constitutes a moment of great transformation connecting the past and the present of the European Left, a political project by means of which left-wing politics in Europe effected a definitive transition to a thoroughly different paradigm. 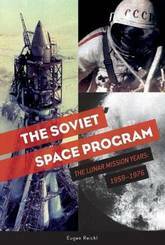 It rose in the wake of 1968 - that pivotal year of social revolt and rethinking that caused a divide between radical, progressive and socialist thinking in western and southern Europe and the Soviet model. 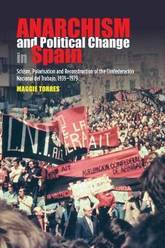 Communist parties in Italy, France, Spain and Greece changed tack, drew on the dynamics of social radicalism of the time and came to be associated with political moderation, liberal democracy and negotiation rather than contentious politics forging a movement that would hold influence until the early 1980s. 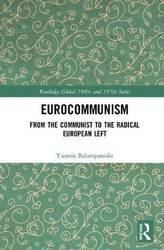 Eurocommunism thus wove an original political synthesis delineated against both the revolutionary Left and the social democracy: party of struggle and party of governance . 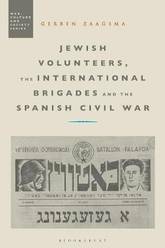 Jewish Volunteers, the International Brigades and the Spanish Civil War discusses the participation of volunteers of Jewish descent in the International Brigades during the Spanish Civil War, focusing particularly on the establishment of the Naftali Botwin Company, a Jewish military unit that was created in the Polish Dombrowski Brigade. Gerben Zaagsma analyses the symbolic meaning of the participation of Jewish volunteers and the Botwin Company both during and after the civil war. He puts this participation in the broader context of Jewish involvement in the left and Jewish/non-Jewish relations in the communist movement and beyond. To this end, the book examines representations of Jewish volunteers in the Parisian Yiddish press (both communist and non-communist). In addition, it analyses the various ways in which Jewish volunteers and the Botwin Company have been commemorated after WWII, tracing how discourses about Jewish volunteers became decisively shaped by post-Holocaust debates on Jewish responses to fascism and Nazism, and discusses claims that Jewish volunteers can be seen as 'the first Jews to resist Hitler with arms'. Madrid has now overtaken Barcelona to become Spain's most visited and popular city. Its literary tradition has always been deeply ingrained in the city's history and poets and writers continue to hold court in the city's literary salons. 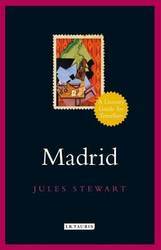 Jules Stewart guides the reader on a colourful journey through more than 400 years of literary and intellectual life, centred mostly in the Barrio de las Letras, and brings to life the people and places, vivid anecdotes and rich historical detail that made Madrid the heart of literary Spain. 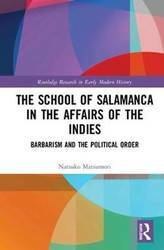 The School of Salamanca in the Affairs of the Indies explores the significance of Salamancans, such as Vitoria and Soto, and related thinkers, such as Las Casas and Sepulveda, in the formation of the early modern political order. It also analyses early modern understandings of political order, with a focus both on the decline of the medieval universal world through the independence and secularization of political community and the establishment of continuous and imbalanced relations between various European and non-European political communities. Through its investigation, this book highlights how Salamancans and related thinkers clearly distinguished their understandings of political order from medieval thought, and did so in a different way to contemporary and later thinkers, such as Machiavelli, Luther, Bodin, and Grotius, particularly with regards to the Indies, barbarian worlds. 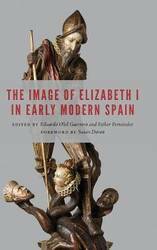 It also reveals the strong contribution of the School of Salamanca in early modern political thought, both internally and externally. Salamancans imposed moral restrictions against interior barbarism, that is, power beyond law, and included exterior barbarism, that is, barbarian societies, in the common political order. Situating the School of Salamanca in the mainstream history of European political thought, The School of Salamanca in the Affairs of the Indies is ideal for academics and postgraduate students of intellectual history and of Spanish colonial expansion. In 1901, the year the six Australian colonies federated to become one country, revolution was being plotted across the world. Publicised in the newspapers and carried by migrants along global trade routes, the anarchist movement appeared prepared for a long period of power as one of the world's dominant historical forces. In few places was this more evident than in Spain, where poverty and population pressure prompted increasing emigration. 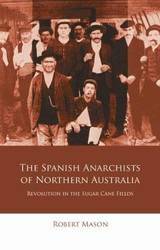 In anglophone Australia, governments had long been alert to the threat of radicalised migrants, and this book traces the forgotten lives of one particular group of such migrants, the Spanish anarchists of northern Australia, revealing the personal connections between the English-speaking British Empire and the world of Spanish-speaking radicals. The present study demonstrates the vitality of this hidden world, and its importance for the development of Australia.